We service any domestic Vaillant boiler up to 25 years old including the VCW, ECOMAX, TURBOMAX and ECOTEC models. We carry with us a large stock of replacement parts on all our vehicles to ensure fast and efficient breakdown services. Here at PCH Vaillant boiler service London we provide a complete Vaillant boiler service in line with your boiler installation and servicing instructions for all Vaillant boiler models up to 25 years old. During annual Vaillant boiler service our Vaillant trained and certified Gas Safe engineer will inspect and test all the key components in your boiler as well as your central heating system. We follow the complete procedures set by your Vaillant boiler manufacturers’ instructions, so we make sure your Vaillant boiler is as safe and efficient as it suppose to be, and your family and your home are at no of carbon monoxide danger. 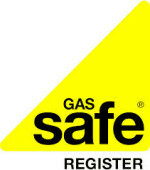 Every central heating system boiler needs to have annual maintenance that may involves having the boiler stripped and the burner engine taken out to make sure that they both the boiler and central heating run efficiently, also to ensure they are not using too much gas, or operating unsafely i.e. producing CO carbon monoxide. Most manufacturers insist that you have your boiler service every year in line with their guidelines to validate the warranty. In addition, many insurance companies make having your boiler serviced a required part of their terms and conditions to insure your house. So it wise let alone necessary to have your boiler serviced regularly. We at PCH Boiler Repair pride our selves in offering all our customers living in London a great and efficient Vaillant boiler service that will improves the general running of your appliance, reducing gas consumption and saving you money. Unfortunately not all boiler service engineers follow complete, good practice boiler service procedures, as some are more knowledgeable than others, and some are more honest and hard working than others. We at PCH follow a complete good practice in all our Vaillant boiler services, we will ask you over the phone to provide us with the make and the model number of your boiler to enable us to bring with us the appropriate specific burner seals, washers etc that your boiler service procedures instruct the service engineer to have with him in order for a profound boiler service to be achieved. What you should get in your annual Vaillant Bosch boiler service as minimum requirements set by the Gas Safe Installation & Use 1998 Regulations? 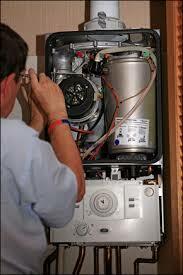 Replacing any seal/part instructed by the appliance’s MIs service procedures. Vaillant boiler service London Camden Town NW1, Vaillant boiler service London Cricklewood NW2, Vaillant boiler service London Hampstead NW3, Vaillant boiler service London Hendon NW4, Vaillant boiler service London Kentish Town NW5, Vaillant boiler service London Kilburn NW6, Vaillant boiler service London Mill Hill NW7, Vaillant boiler service London St John’s Wood NW8, Vaillant boiler service London The Hyde NW9, Vaillant boiler service London Willesden NW10, Vaillant boiler service London Golders Green NW11. Vaillant boiler service London West End W1, Vaillant boiler service London Paddington W2, Vaillant boiler service London Acton W3, Vaillant boiler service London Chiswick W4, Vaillant boiler service London Ealing W5, Vaillant boiler service London Hammersmith W6, Vaillant boiler service London Hanwell W7, Vaillant boiler service London Kensington W8, Vaillant boiler service London Maida Vale W9, Vaillant boiler service London North Kensington W10, Vaillant boiler service London Notting Hill W11, Vaillant boiler service London Shepherd’s Bush W12, Vaillant boiler service London West Ealing W13, Vaillant boiler service London West Kensington W14. Vaillant boiler service London South West SW1, Vaillant boiler service London Brixton SW2, Vaillant boiler service London Chelsea SW3, Vaillant boiler service London Clapham SW4, Vaillant boiler service London Earls Court SW5, Vaillant boiler service London Fulham SW6, Vaillant boiler service London South Kensington SW7, Vaillant boiler service London South Lambeth SW8, Vaillant boiler service London Stockwell SW9, Vaillant boiler service London West Brompton SW10, Vaillant boiler service London Battersea SW11, Vaillant boiler service London Balham SW12, Vaillant boiler service London Barnes SW13, Vaillant boiler service London Mortlake SW14, Vaillant boiler service London Putney SW15, Vaillant boiler service London Streatham SW16, Vaillant boiler service London Tooting SW17, Vaillant boiler service London Wandsworth SW18, Vaillant boiler service London Wimbledon SW19, Vaillant boiler service London West Wimbledon SW20. Vaillant boiler service London Southwark & Bermondsey SE1, Worcester Bosch boiler service London Abbey Wood SE2, Worcester Bosch boiler service London Blackheath SE3, Worcester Bosch boiler service London Brockley SE4, Worcester Bosch boiler service London Camberwell SE5, Worcester Bosch boiler service London Catford SE6, Worcester Bosch boiler service London Charlton SE7, Worcester Bosch boiler service London Deptford SE8, Worcester Bosch boiler service London Eltham SE9, Worcester Bosch boiler service London Greenwich SE10, Worcester Bosch boiler service London Kennington SE11, Worcester Bosch boiler service London Lee SE12, Worcester Bosch boiler service London Lewisham SE13, Worcester Bosch boiler service London New Cross SE14, Worcester Bosch boiler service London Peckham SE15, Worcester Bosch boiler service London Rotherhithe SE16, Worcester Bosch boiler service London Walworth SE17, Worcester Bosch boiler service London Woolwich SE18, Worcester Bosch boiler service London Norwood SE19, Worcester Bosch boiler service London Anerley SE20, Worcester Bosch boiler service London Dulwich SE21, Worcester Bosch boiler service London East Dulwich SE22, Worcester Bosch boiler service London Forest Hill SE23, Worcester Bosch boiler service London Herne Hill SE24, Worcester Bosch boiler service London South Norwood SE25, Worcester Bosch boiler service London Sydenham SE26, Worcester Bosch boiler service London West Norwood SE27, Worcester Bosch boiler service London Thamesmead SE28. Vaillant boiler service London Aldgate E1, Vaillant boiler service London Bethnal Green E2, Vaillant boiler service London Bow & Old Ford E3, Vaillant boiler service London Chingford E4, Vaillant boiler service London Clapton E5, Vaillant boiler service London East Ham E6, Vaillant boiler service London Forest Gate E7, Vaillant boiler service London Hackney E8, Vaillant boiler service London Homerton E9, Vaillant boiler service London Leyton E10, Vaillant boiler service London Leytonstone E11, Vaillant boiler service London Manor Park E12, Vaillant boiler service London Plaistow E13, Vaillant boiler service London Poplar E14, Vaillant boiler service London Stratford E15, Vaillant boiler service London North Woolwich & Victoria Docks E16, Vaillant boiler service London Walthamstow E17, Vaillant boiler service London South Woodford E18. Vaillant boiler service London Islington N1, Vaillant boiler service London East Finchley N2, Vaillant boiler service London Finchley N3, Vaillant boiler service London Finsbury Park N4, Vaillant boiler service London Highbury N5, Vaillant boiler service London Highgate N6, Vaillant boiler service London Holloway N7, Vaillant boiler service London Hornsey N8, Vaillant boiler service London Lower Edmonton N9, Vaillant boiler service London Muswell Hill N10, Vaillant boiler service London New Southgate N11, Vaillant boiler service London North Finchley N12, Vaillant boiler service London Palmers Green N13, Vaillant boiler service London Southgate N14, Vaillant boiler service London South Tottenham N15, Vaillant boiler service London Stoke Newington N16, Vaillant boiler service London Tottenham N17, Vaillant boiler service London Upper Edmonton N18, Vaillant boiler service London Upper Holloway N19, Vaillant boiler service London Whetstone N20, Vaillant boiler service London Winchmore Hill N21, Vaillant boiler service London Wood Green N22.